At Callahan & Blaine, our experience and success in complex corporate and business litigation has given our lawyers the tools they need to achieve outstanding results in a wide range of adversarial contexts. The skills necessary to win a multimillion-dollar commercial case that involves contract, tort, intellectual property and insurance coverage issues are precisely the same as those that can get the job done in a severe personal injury case. 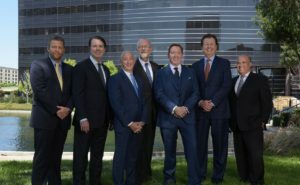 Our ability to apply our trial experience in many different litigation situations has benefited our clients and strengthened our reputation throughout California and around the United States. Learn how an outstanding trial attorney can help you or your company achieve its litigation goals. Contact Callahan & Blaine in Santa Ana.